Welcome to the Fox Glacier Holiday Park! 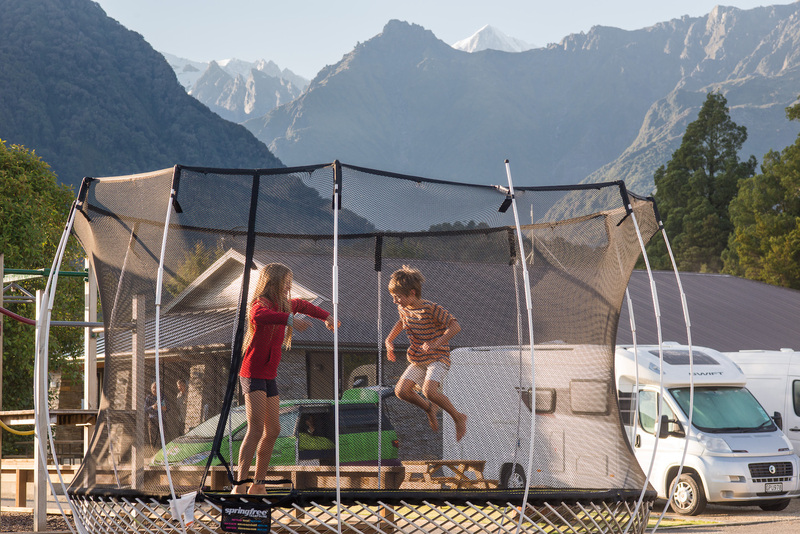 Fox Glacier Holiday Park & Motels offer modern motels, self-contained units, lodges, standard cabins, powered and non-powered vehicle sites and tent sites. This accommodation range is matched with excellent communal facilities, and a peaceful rural setting, with the towering Southern Alps visible from all around the park. The impressive staff combine small town friendliness with top professionalism. They know all the best local attractions and eateries, and are happy to help build guest itineraries. Wifi internet is available around the park as well as internet portals in the TV lounges. The holiday park staff have invested great energy into creating a place where guests can truly feel at home while on holiday. The park offers a wide range of accommodation to suit all travellers’ needs, and they have excellent access facilities for guests with disabilities. The Fox Glacier Holiday Park & Motels is a ticketing agency and drop off point for Intercity, Atomic and other buses. So getting here and to the next destination is easy (they can help with ticketing details).